It has happened to all of us at one time or another, you buy adorable desk name tags, and you have just enough, until your mind starts drifting and you skip a letter in one of your students' names. So you either have to get back to the teacher store or give that one kid a different tag. No more! 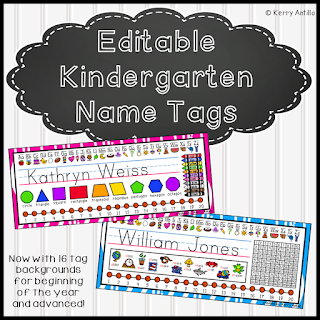 Simply type the students' names on the name tags and print. A name tag rips, no problem! A student chews on their name tag (other than reminding the student what we should and should not try to eat), no problem! Get a new student, no problem! Never run out of name tags again, use them year after year!